Essex Skating Club of New Jersey, Inc. The Board of Trustees of the Essex Skating Club of NJ, Inc. is excited to announce the new Synchronized Skating Program! 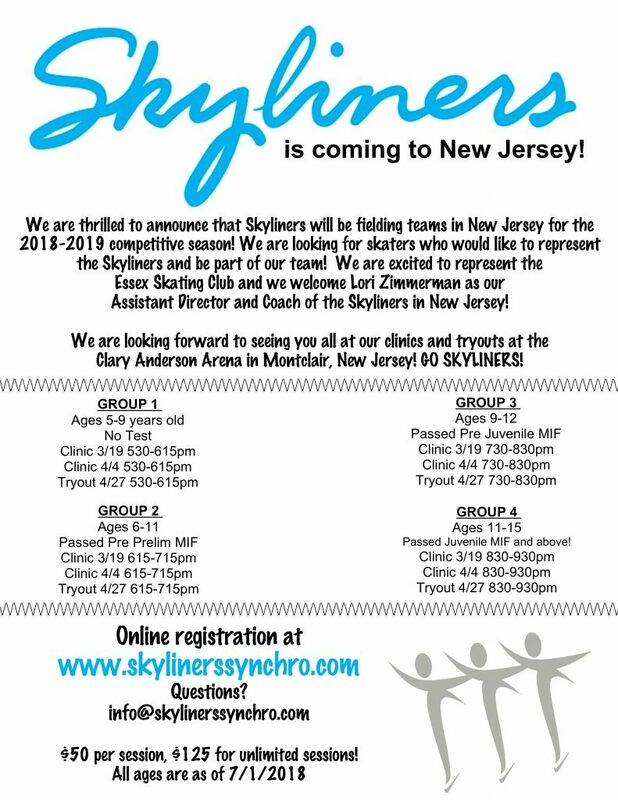 We are very proud to introduce the new Synchronized Skating Program, representing the Essex Skating Club of New Jersey – The New Jersey Skyliners! We look forward to our new affiliation with the Skyliner organization. We are happy to announce our tryouts which begin March 19th.